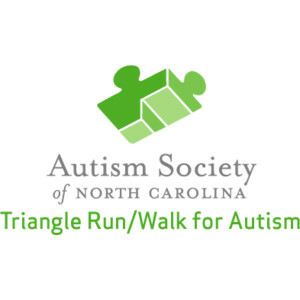 Last Saturday I ran the Triangle Run/Walk for Autism 5K while I was in Raleigh for fall break, and while I didn’t PR I came close! 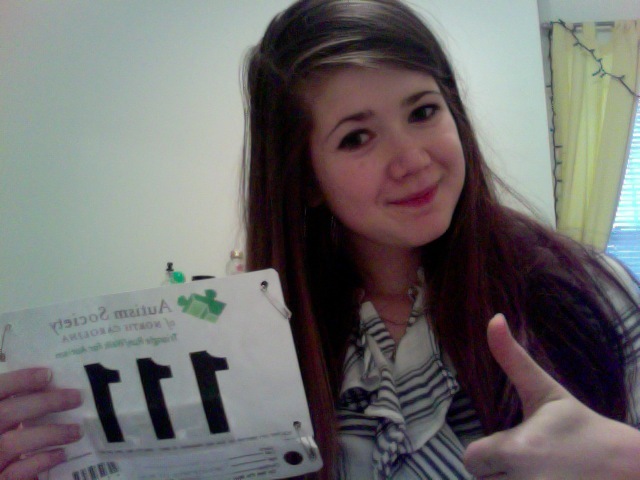 The morning of the race made it seem like the race was going to be a total flop, but surprisingly I had a lot of fun. First of all it was fall break, I love running races back at home because they are much bigger and better organized than Boone races, they should be too because Raleigh is at least four times the size of little old Boone, but I was in full on fall break mode and waking early Saturday morning just made me wish I could sleep in instead. Secondly, I woke up with a cold and was not feeling too awesome. Gross. The cold was pretty much isolated to my head, so I was determined to still run. 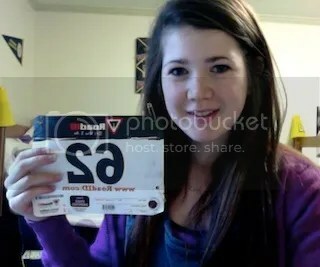 I don’t know why I always have to take a selfie with my bib number, just go with it. Luckily I sucked it up and headed out to the race. The race was held at Moore Square in the middle of downtown Raleigh, actually the start line was only a block away from the 8K I ran in March! I love downtown races because there is so much to look at on the course, and there’s something really awesome about getting to run down a street that is usually packed with traffic. The weather was pretty perfect for running too, sunny and a little chilly. Warm enough for me to freeze because I am a cold weather wimp, but cool enough that I barely broke a sweat. AKA perfect. The race started off great, The first half of the course (an out and back) was downhill so I pretty much just coasted the whole way, my legs were feeling really good and I probably started off faster than I should have, but I was feeling so good I couldn’t help myself (: I did start myself a little farther back at the start line than I should have. I’d rather underestimate how fast I am and weave through people, then over estimate and get trampled (an let’s be honest, passing people gives me a little ego boost), and I put myself especially far back since I wasn’t feeling too hot, so I spent the first half mile passing the walkers/kids/jogging strollers (except for one beastly mom who sped past everyone, good for her! ), but I eventually caught up to people closer to my pace. The second half of the race was a little tougher, the course was a gradual incline, nothing crazy but it starts to get to you have 1.5 miles, and the sun was out in full force. I definitely slowed down a little, but I was still feeling good. I finished in 30:42, my PR is 30:41. I was 2 SECONDS from a PR! I feel so good about that time considering I had a cold. One day I’ll break 30 minutes! And I was greeted by kids with KIND bars at the finish line. Yes please. I love that even though I’m running hardly ever, I’m able to keep up my speed and endurance. Maybe this will be motivation to go for a run more often? Hopefully. I still love running, but I’ve been craving some variety lately. I’ve got my eye on a race a the beginning of December so maybe I can manage a PR then? PRs are fun, but I definitely race for the experience, not the time. And as bonus after I finished the race, my parents took me to buy some new running shoes! I asked for a new pair for my birthday, you should know that my birthday is in April, so they were a little late, but that’s okay. 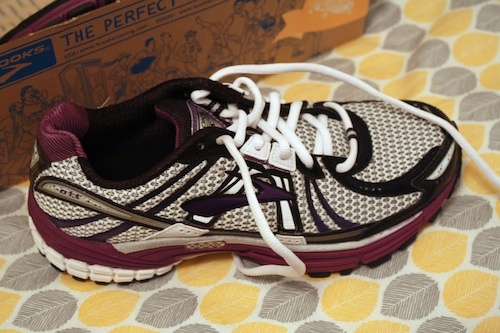 My current pair are pretty worn out, I wear them for everything (bad I know), and I’ve never actually been fitted for running shoes, so I knew it was time to invest in some good shoes. We went to Capital Run Walk a specialty running store that actually sponsored the 5K I had just finished running, so I got a 20% discount (yay bargains!). I really loved this store, if you live in Raleigh and need anything running related check them out! The staff was so nice and helped fit me and shoes and was really patient with my indecisiveness. I ended up with a pair of Brooks Adrenaline GTS 12. They are comfy and purple and beautiful and I love them. 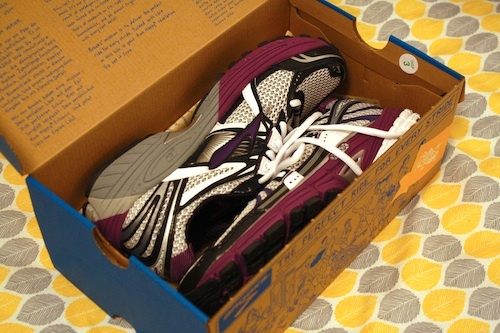 I found out I was actually buying a size too small and that I pronate so I need a supportive shoe. I guess that’s why they say it’s important to get fitted for running shoes. I haven’t actually tested these guys out yet (I’m trying to save them for actual running instead of cardio classes) but I’m excited to try them out! I stinks that I wasn’t so close, but I wasn’t expecting to even come close to a PR being sick and all, hopefully next race when I’m feeling better!